The Federal Communications Commission wants internet service providers (ISPs) to tighten up their online privacy policies, proposing they be required to ask permission before sharing your data with third parties. Essentially, the FCC is worried about just how much your ISP knows about you and how much of this date it is sharing without your knowledge. "We can choose not to visit a website or sign up for a social network, or choose to drop one and switch to another," writes FCC chairman Tom Wheeler in a blog published in The Huffington Post today. "Broadband service is different," he warns. "Once you subscribe to an internet service provider - for your home or for your smartphone - you have little flexibility to change your mind or avoid that network." He continues that because your ISP handles all your network traffic, "it has a broad view of all of your unencrypted online activity - when you are online, the websites you visit and the apps you use." The data gathered, which can include very personal details based on your online activity, can currently be shared with the company's "affiliates" or even third parties and ad networks without requiring explicit permission from users. Instead, Wheeler is proposing that ISPs be required to give users an option to opt-out of sharing information with affiliates, and gain explicit permission to share data with anyone else. "When consumers sign up for internet service, they shouldn't have to sign away their right to privacy," Wheeler says. ISPs would still be able to use your data to market their own services, however. The proposal would also require ISPs to "take reasonable steps" to ensure user information is kept secure, and disclose any security breaches within a week to the FCC and within 10 days to affected users. If more than 5,000 customers are affected, ISPs would be required to notify the FBI and the US Secret Service within a week as well. The new proposal would only affect ISPs, like Comcast, Cox and AT&T. Regulations regarding other internet services and websites, like Facebook and Google, who also handle your private information, falls under the authority of the Federal Trade Commission. The FCC will be voting on Wheeler's proposal during a meeting to be held on March 31. If approved, which is highly likely, a comment period of several months will follow where the public and businesses will be able provide their input on the proposed guidelines. 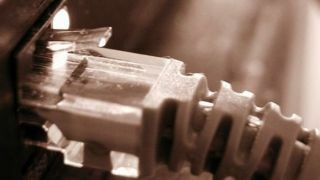 The FCC will then chew on the suggestions before finalizing the rules ISPs will have to abide by.